"Hello, I’ve got some 4K videos in MP4 format, but Windows Media Player seems to be not able to play 4K MP4 videos. Should I turn to another media player software or make use of some codec pack? Is there any free 4K video player that could act as 4K MP4 player to play MP4 4K video files?" 4K videos have brought improved movie experience for its high quality image and large screen display. However, as a rising media type, many people have no idea on how to play 4K media files and how to get the best quality off it. If you want to know more about 4K, please visit What is 4K for detail. If you want to find a wonderful solution to play MP4 4K video, the below content would offer you 3 different ways. 4K MP4 video or MP4 4K video is actually 4K video MP4 format. It’s an MP4 file but the resolution is up to 3840×2160 pixels. You could get 4K MP4 download from various 4K video sites. To play 4K MP4 video, you could make use of 4K video player software. Currently, there are very few 4K video player software apps available online. Leawo Free Blu-ray Player is considered as the best 4K video player by far. ☉ 100% free 4K player to play Ultra HD 4K content for totally free. ☉ Free 4K Blu-ray disc player to play 4K Blu-ray disc, regardless of disc protection and region code. ☉ Adjust subtitles, video and audio during 4K video playback for better 4K movie experience. ☉ Quality lossless Ultra HD image and audio delivering system, like that in cinema. 1. Why Leawo Free Blu-ray Player is the Best 4K Player? 1. This 4K video player is 100% free. You could use it to play any 4K video in any format for totally free. No in-app purchase or other kind of cost required. 2. Besides acting as free 4K video player, it’s region-free 4K Blu-ray player software to play 4K Blu-ray disc, regardless of disc protection and region restriction. 3. Free 4K video player to play up to 4K UHD/1080P Full HD video without quality loss in any format, including 4K MKV, 4K MP4, etc. 4. 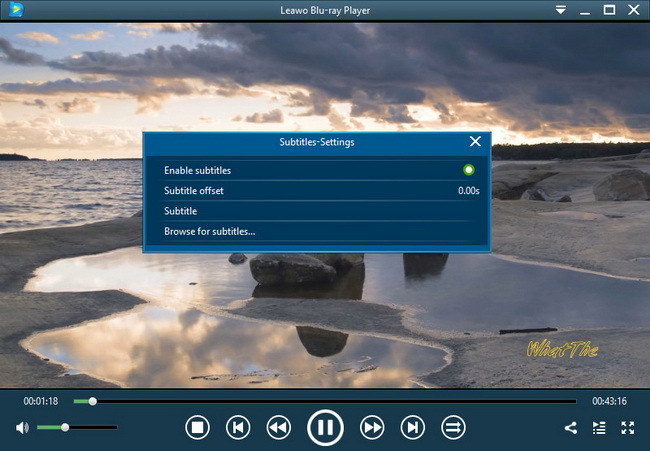 Select subtitles and audio tracks, even add extra subtitles. Deliver cinema-like movie experience with support of various advanced audio decoding technologies like Dolby, DTS, AAC, TrueHD, DTS-HD, etc. Being the No.1 best 4K video player software, Leawo Free Blu-ray Player offers you the best movie experience for you to watch 4K movies at home. It’s easy to use. The below guide wouls show you how to use this free 4K video player to play 4K movies. According to your computer system, download and install the right app on your computer. It’s free and clean to download. On the main interface, click the green "Open File" button to browse and load source 4K MP4 video into this free 4K player software. During playback, you could do some playback settings like: select subtitles, set video and audio, click for full-screen playback, add another 4K MP4 video onto the playlist, etc. Many people prefer to watching 4K MP4 video on Windows Media Player or Windows Media Player Classic. However, currently, on its own, Windows Media Player or Meida Player Classic does not yet provide 4K playback capabilities. 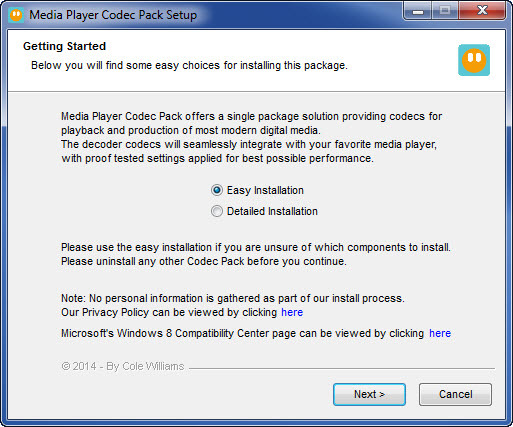 The key is to also install the K-Lite Codec Pack or Media Player Codec Pack. This is simply a package of many different codecs, all rolled into one for convenience. Important notes: This method is only applicable to Windows users. For Mac users, it doesn’t work. Also, since MP4 is the most popular video format that is accepted by most media players, you could try to convert video to 4K MP4 video, no matter your source video files are 4K video or not. A 4K video converter should be able to retain the original video quality, or even up-convert 2K, 1080P video to 4K video MP4 format. Leawo 4K Video Converter is such kind of 4K video converter app. 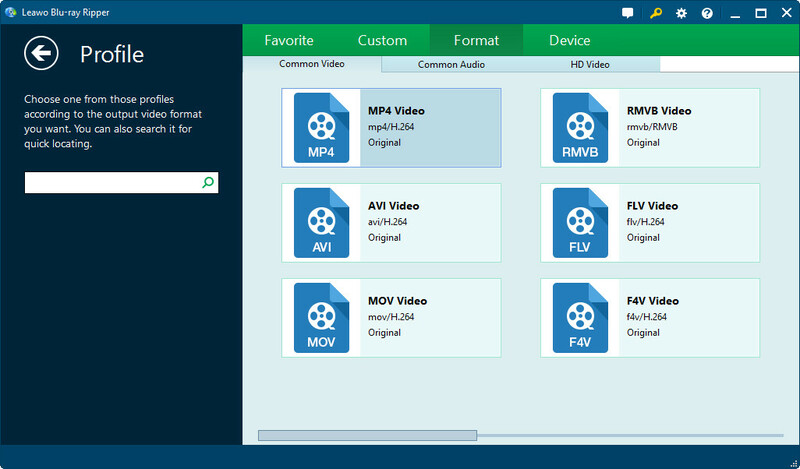 ☉ Convert 2K or 1080P video to 4K video in different formats. ☉ Convert 4K video between different video formats without quality loss. ☉ Trim, Crop, Effect, Watermark to edit video. ☉ Convert 2D video to 3D 4K video in different 3D effects. ☉ Add external subtitle and select audio channel. After downloading and installing Leawo 4K Video Converter, launch it. On the main interface, click "Video Converter" module. Then, under the "Convert" tab, click the "Add Video" button to browse and add source video files (source video files could be 2K video, 1080P video or 4K video). Click the drop-down box next to the "Add Photo" button and then select "Change" option to set output format. Choose a format from "Format > 4K Video" group as output format. Currently, there are only 2 4K video formats available: 4K MP4 and 4K MKV. You’re suggested to choose 4K MP4 as output format. After setting output format, click the big green "Convert" button and then set output directory in the "Save to" box on the popup sidebar. Make sure target folder has enough storage. Finally, click the bottom "Convert" button on the sidebar. This 4K video converter would start to convert video to 4K video immediately. After conversion, the converted video would now be in 4K MP4 or 4K MKV (according to your choice) format saved on your computer. 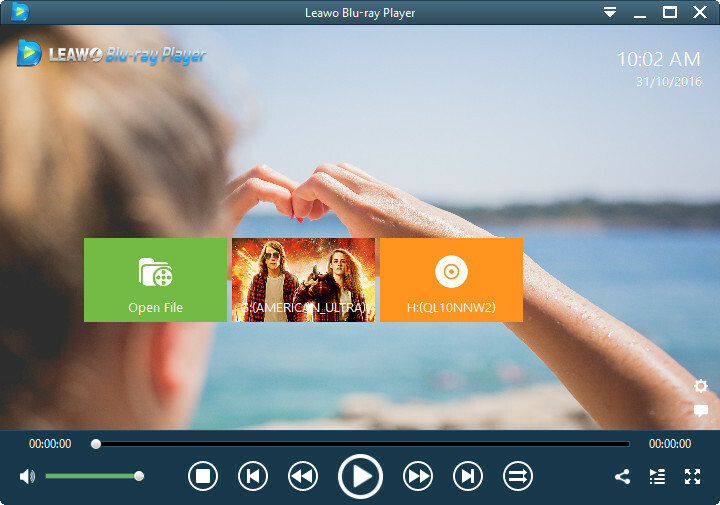 You could then make use of Leawo’s Free Blu-ray Player to play back the created 4K video easily.